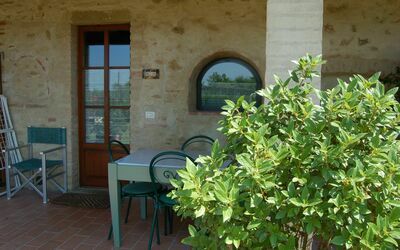 Through a private garden and terrace you enter the lounge of the apartment. 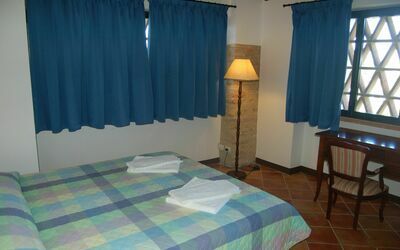 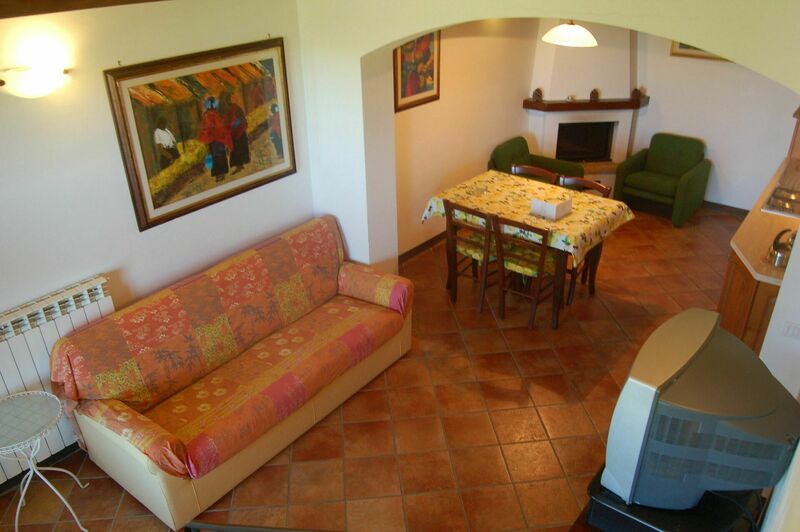 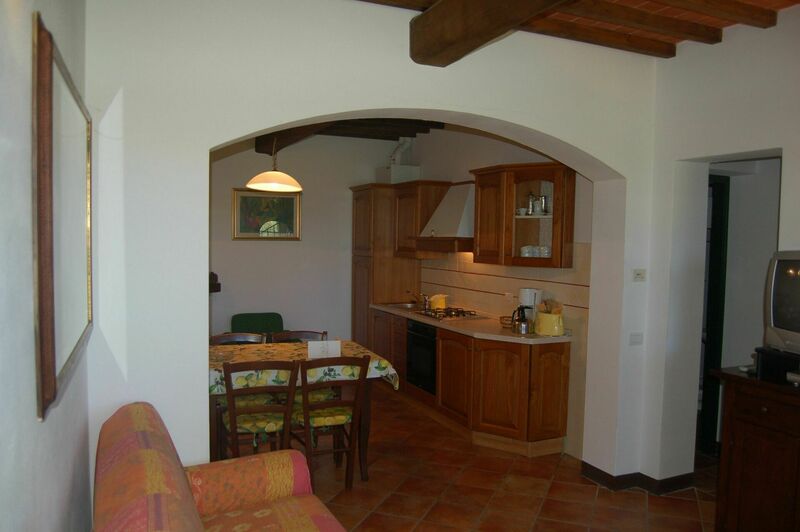 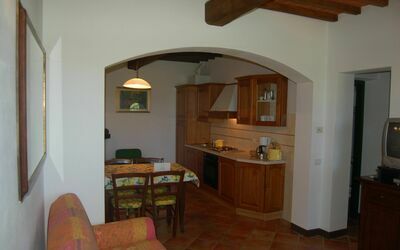 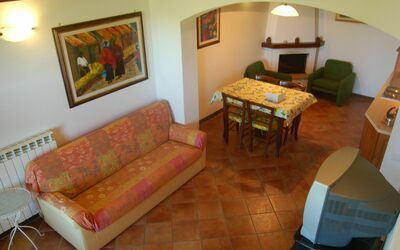 To the right you have a nice, fully equipped kitchen with all facilities and comfort and access to a storage room and a bathroom with shower. 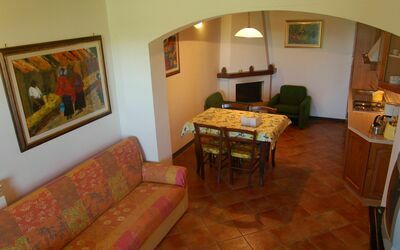 A nice fireplace makes the atmosphere warm and pleasant. Beautiful Terracotta glazed stairs lead to the first bedroom with twin beds in the upper floor. 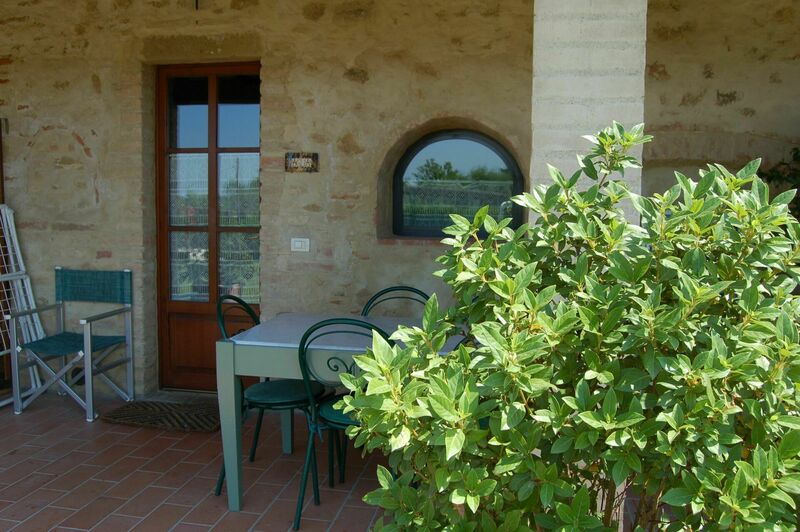 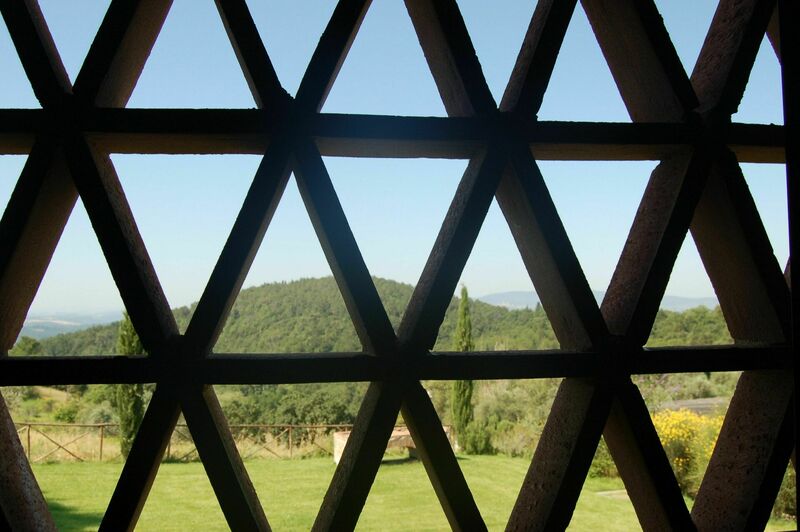 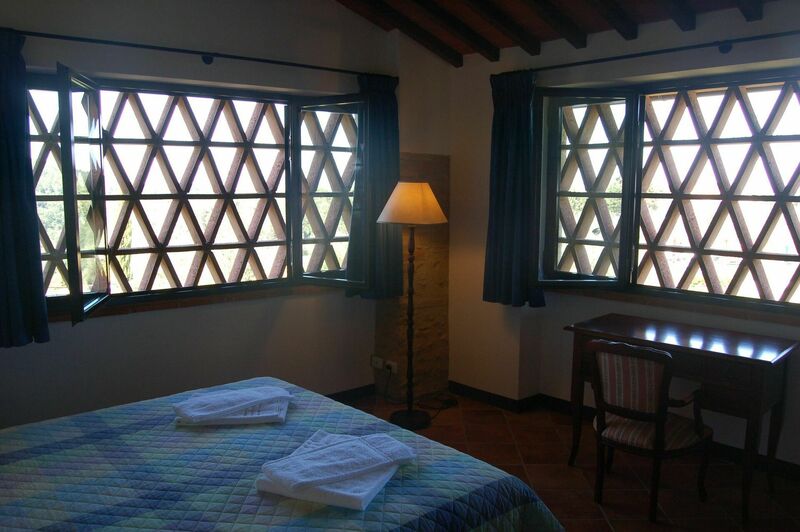 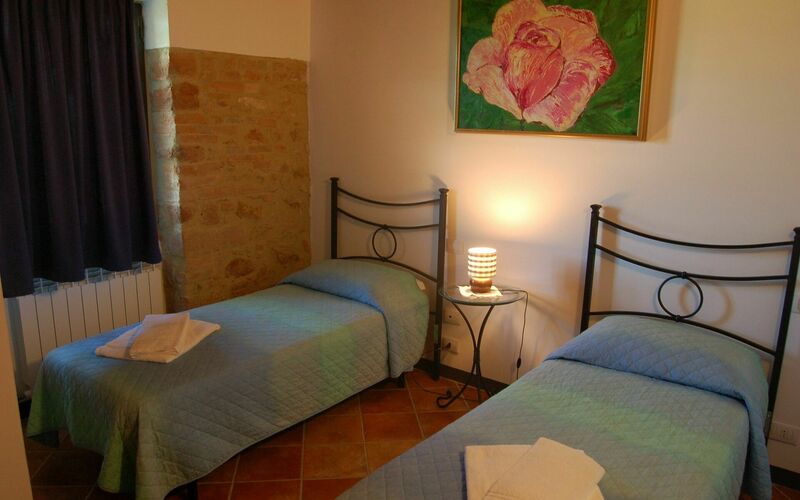 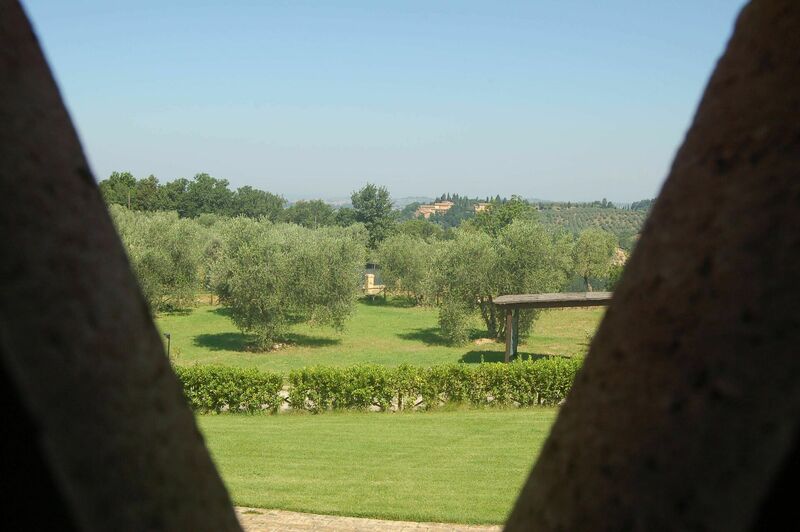 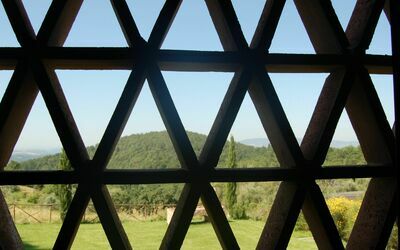 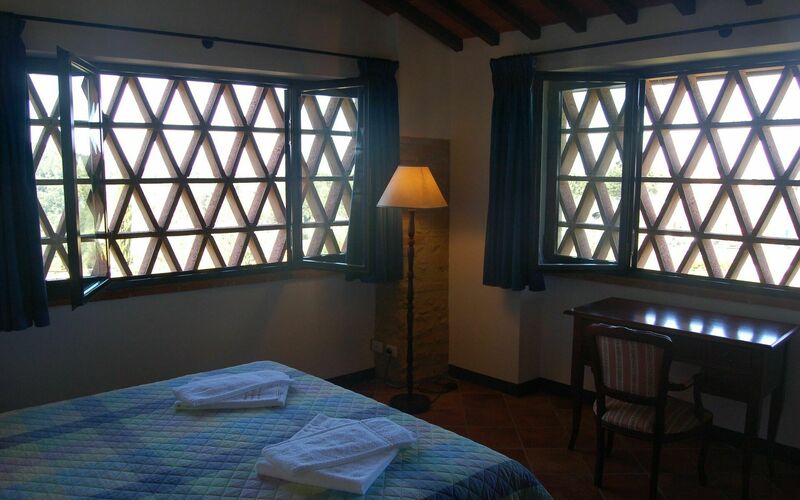 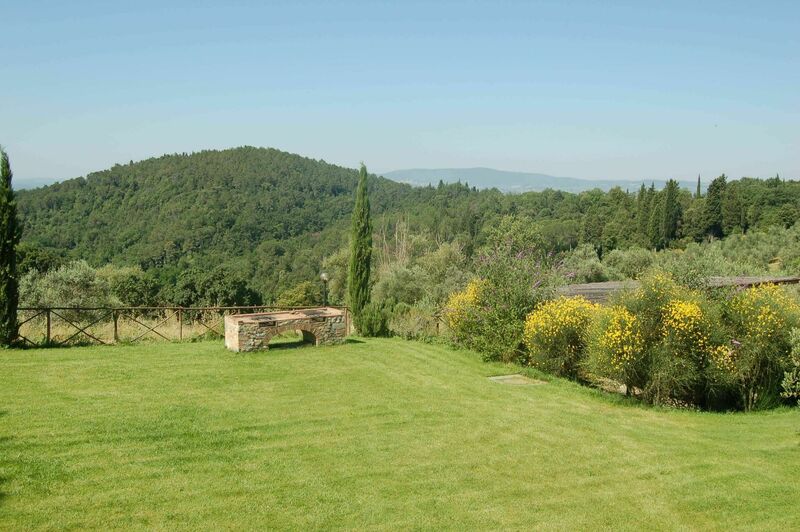 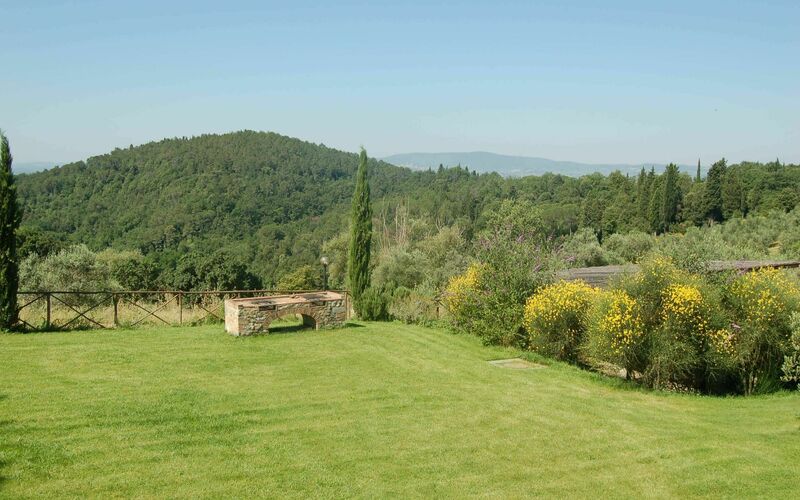 The wide window of the room is sheltered by the typical thin terracotta bricks, which allow enjoying the wonderful landscape of the valley and its olive groves but being protected from the warmth of the sun in the hottest hours. 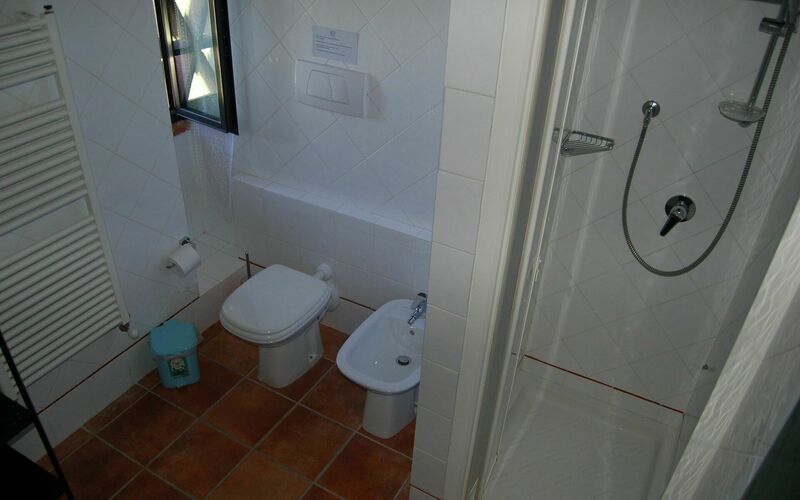 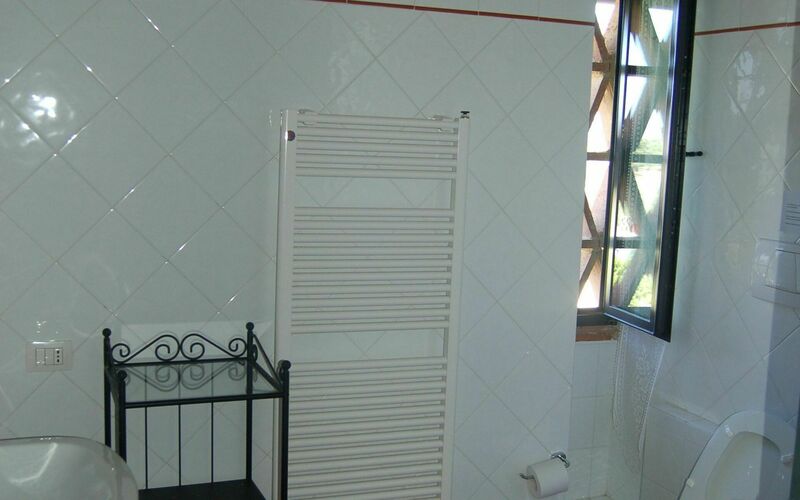 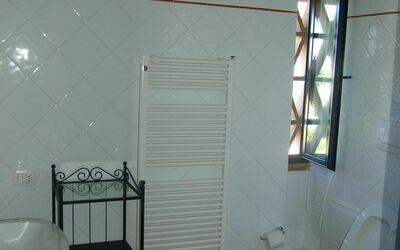 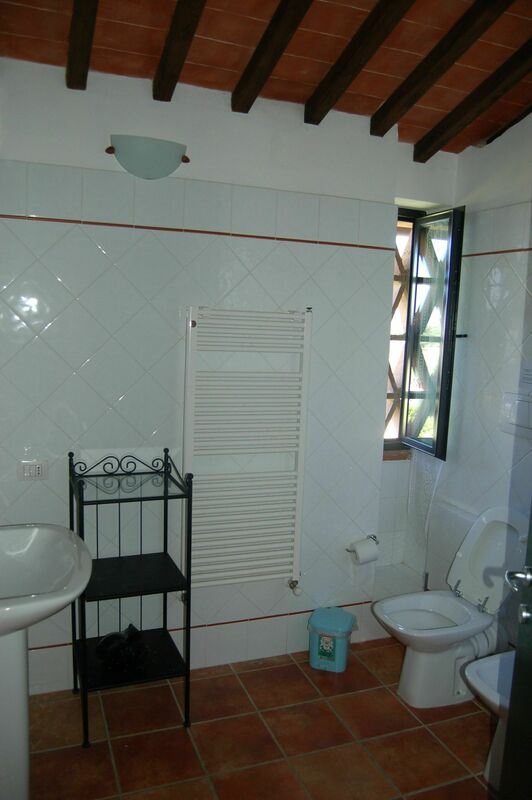 A corridor leads to the second bathroom with shower and to the second double bedroom, full of light. Also this rooms is sheltered by the terracotta bricks and enjoys a fascinating view of the valley with its secular olive trees.